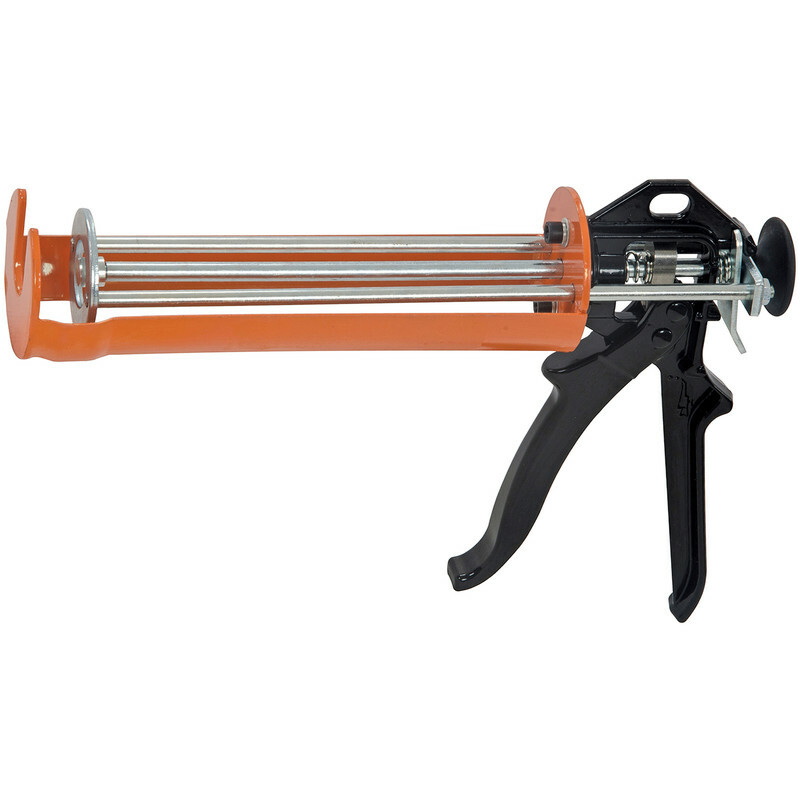 Heavy duty applicator gun for use with polyester resin fixing systems. Heavy Duty Applicator Gun 380ml is rated 4.3 out of 5 by 7. Rated 5 out of 5 by Anonymous from Heavy Duty chemical resin applicator gun I have not used the product yet , but I know the product is well made and up for the job. However the gun only comes with 2 of the special nozzles that mix the resin which is then injected into the pre drilled holes. The mixed resin is supposed to go off in about 5 minutes. So you need to work quickly if you have say 6 fixings to install.Otherwise you will run out of nozzles as the resin will have gone hard .Where can you get spare nozzles ??? Rated 4 out of 5 by The Lion from Heavy Duty Applicator Gun 380ml Excellent and odes what it says on the tin. Rated 5 out of 5 by Sammm from Great, very sturdy and comfortable to use. I used this for forgefix, made it much easier to administer the compound. Rated 5 out of 5 by RJames from Solid bit of kit This is no flimsy bit of kit! Well worth an little extra money for what you get.